Inside Flap Compartments For Pens, Calculator, Business Cards, Etc. Available Colors: Black with Red, Lime Green, Black or Blue, all with Gray Trim. Multi-Colored Imprint: One Color included in price, 3 additional colors at $1.50 per color, per piece. Shipping Weight: 50 per carton @ 32 lbs. Customized Ambassador Messenger Bag (Item #HT-3344) is Promotional with a Free Artwork Imprint. 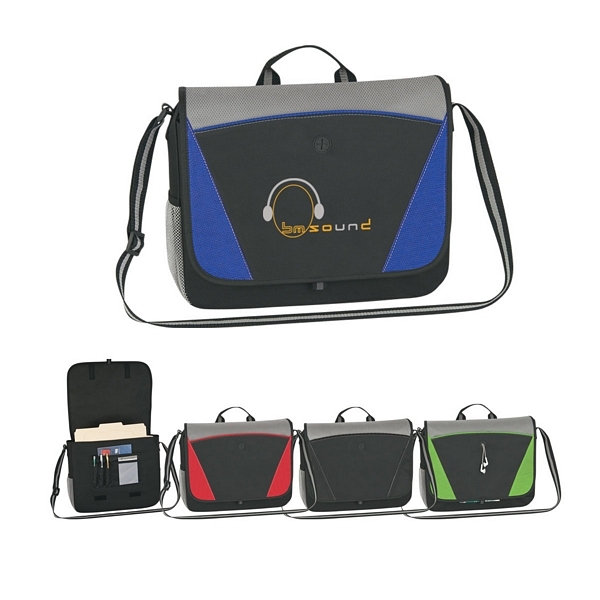 Promotional Messenger Bags like our Personalized Ambassador Messenger Bag are decorated with your logo with no setup fees. Customized Non-Woven Trinity Tote Bag (Item #HT-3345) is Promotional with a Free Artwork Imprint. 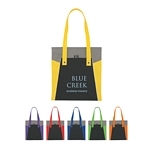 Promotional Tote Bags like our Personalized Non-Woven Trinity Tote Bag are decorated with your logo with no setup fees. Customized Non-Woven Accent Tote Bag (Item #HT-3347) is Promotional with a Free Artwork Imprint. 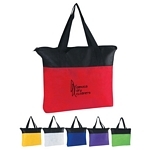 Promotional Tote Bags like our Personalized Non-Woven Accent Tote Bag are decorated with your logo with no setup fees. 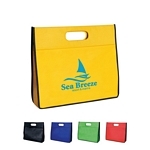 Customized Non-Woven Tote Bag Case Item #HT-3350 (Minimum Order: 100). Promotional Tote Bags like the Non-Woven Tote Bag Case can be personalized with your business logo and with No Setup Fees. 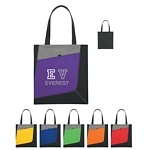 Customized Non-Woven Zippered Shop Tote Bag Item #HT-3351 (Minimum Order: 100). Promotional Tote Bags like the Non-Woven Zippered Shop Tote Bag can be personalized with your business logo and with No Setup Fees.